The Jamaican Boa is the largest snake found in Jamaica and can grow up to 8 feet long! 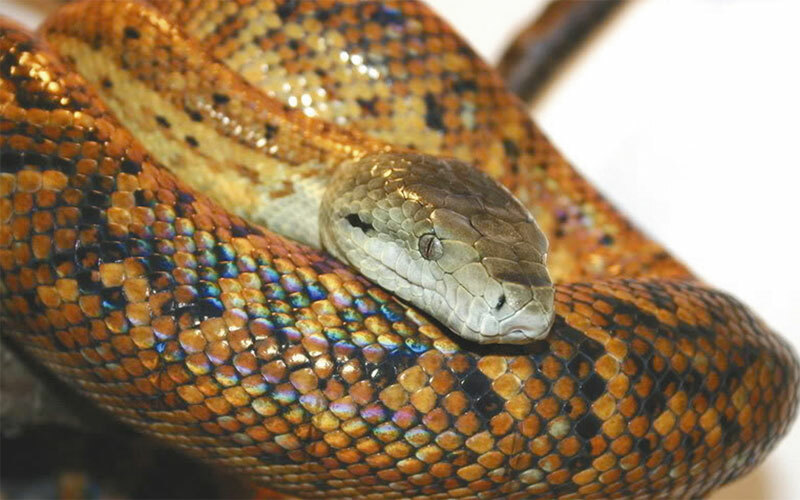 The Jamaican Boa is endemic to Jamaica, meaning it is found only in Jamaica and nowhere else. Females are generally larger than males. Their colouring becomes darker with age. They are bright orange/rust at birth. In adults the underbelly is yellow, with bands of yellow/orange and blue/black on their backs. The tail is usually blush-black.